Guy & O’Neill holds the original patent for bathing wipes, and our expertise has only grown since then. 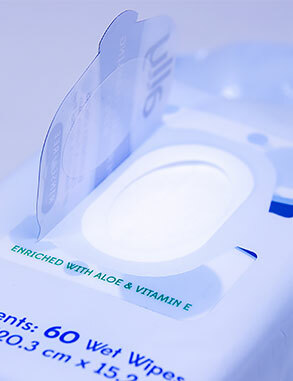 G&O has the capability of producing every type of wet wipe format offered in the marketplace. Our innovations in wet wipes manufacturing extends from in-house blending and compounding to production and cosmetic packaging options. Whatever the type, whatever the packaging, G&O can make your wet wipes!